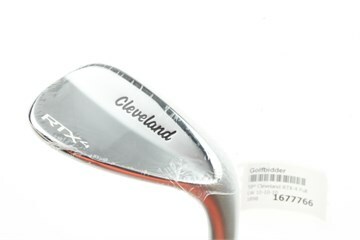 Bid on a Cleveland RTX-4 Full Grind Tour Satin Wedge with Stiff Steel Dynamic Gold Tour issue shaft 58.0 degree loft. FULL GRIND: The traditional mid-bounce you know and love. 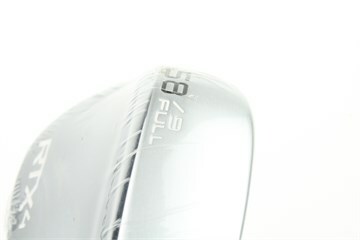 Enjoy crisp pitch shots and solid full-shot performance. 4TH GENERATION ROTEX FACE TECHNOLOGY: Rotex Face Technology consistently delivers more spin across all conditions, for better distance control, improved accuracy, and lower scores. 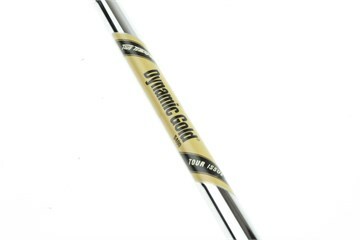 SHARPER TOUR ZIP GROOVES: Sharper, deeper grooves slice through grass, sand and water for more consistent spin on every shot. 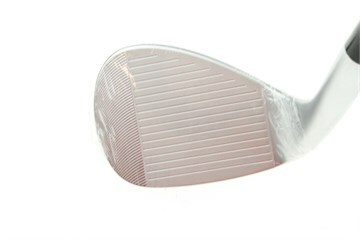 CENTERED ROTEX FACE MILLING: The face is milled in-line with your strike pattern to increase spin on all shots. 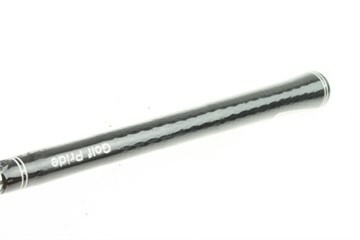 A MORE COMPACT BLADE: Compact blade shape is a direct result of extensive tour testing and feedback. DUAL-AXES, PROGRESSIVE CG: Perfect center of gravity placement on both the vertical and horizontal axes unique to each loft.